Criterion Games has big plans for Burnout Paradise in 2009. That includes another newly announced batch of downloadable content, a "Cops and Robbers" pack planned for later this year. Criterion is brief with the details, writing on the official PlayStation blog that it's "keeping the gameplay under wraps for the moment" on the premium pack, opting to tease Burnout fans with pretty pictures. 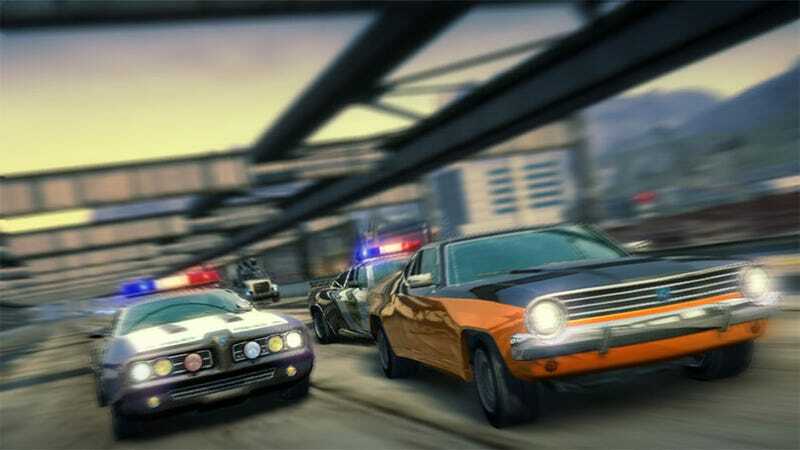 The Cops and Robbers add-on will apparently follow the rest of the planned Burnout Paradise content slated for this year, which includes Legendary and Toy Cars. The most recent, the Burnout Paradise Party Pack, was just released. Go on and look at some pretty things.